For just $35 you will receive incredible discounts at amusement parks, ski mountains, zoos, museums, and more. You will be getting discounts worth over $1,800 at over 100 New England family attractions! In most cases, the discount coupon offers a child, 12 and under, a free or discounted admission when accompanied by a paying adult. Offers vary by attraction. When you purchase a Fun Pass you are also contributing to the critical work of Breathe New Hampshire. 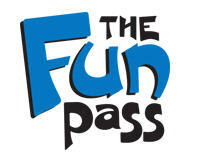 Order your Fun Pass online, or call 800-835-8647. You'll receive your coupon book by mail. Important: When using your Fun Pass, take the entire book with you on each outing. You must tear the coupon from the book at the attraction in order to receive the discount. Offers vary by attraction. At most attractions, you'll get free or discounted admission for a child, 12 and under, when accompanied by a paying adult. Be sure to carefully review the details before you visit the attraction. Breathe New Hampshire (formerly American Lung Association of New Hampshire) is the New Hampshire's oldest nonprofit voluntary health agency. Today, as Breathe New Hampshire, the organization's mission encompasses the challenges associated with asthma management; keeping both indoor and outdoor air clean; nicotine addiction; COPD (Chronic Obstructive Pulmonary Disease); and other matters affecting healthy breathing.